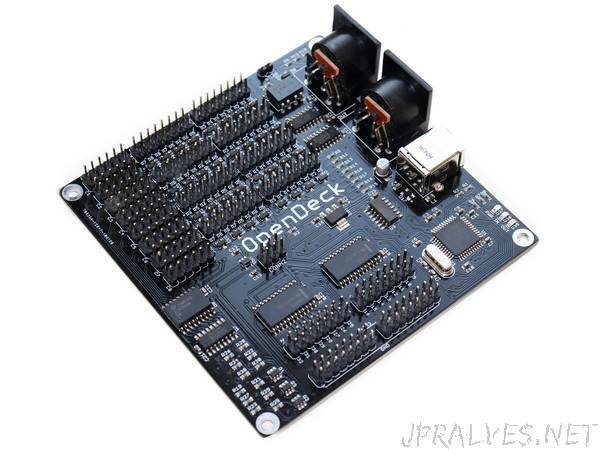 OpenDeck supports sending of both 7-bit and 14-bit Non-Registered Part Numbers (NRPN), latching messages on buttons, various encoding modes for quadrature encoders, LED control using MIDI In, configurable MIDI channels for each component individually, daisy-chaining of boards etc. Full list of supported features can be found here. All configuration is done using custom SysEx protocol explained in detail on Wiki page or using Web interface. This repository also contains source code for OpenDeck Web configuration utility written using Angular framework by other developer. Web utility can run in any browser which supports WebMIDI specification (currently Google Chrome and Opera). Utility needs access to MIDI devices so that it can communicate with OpenDeck boards. All communication is done with custom SysEx protocol explained in detail in Wiki section. UI is hosted in this repository and can be run via this link. Important: UI is compatible only with latest available OpenDeck firmware. If older firmware is used, UI tends to crash when it tries to request parameters which aren’t available in older firmwares. File containing core app logic core.min.js was obsfucated and original source code was lost. Later, un-obsfucator was run on that file, however many variables and function names remain cryptic.